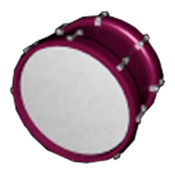 Renzoku Drums is a new kind of drum application. It is a drum loop sequencer with 9 way pattern switch. 9 pattern presets are all customizable and you can switch them rapidly with keyboard. Switch rhythm patterns as you like. Rhythm pattern will vary smoothly. And you can edit pattern immediately with the pattern editor. Your performance can be recorded and exported to WAV file.